I’ll never forget when I felt like a failure when it came to health. And like most stories, it all started with my parents. They were immigrant parents from India, and the first thing my dad introduced my mom to was Mcdonalds hamburgers. You see, my parents were very trusting of the American food system. And that’s when things started to go wrong. I ended up with eczema all over my face. I had asthma. I had allergies. I had stomach aches almost every single morning to the point where my parents thought I was making it up. And it all came to a head when I ended up in the hospital. I had my appendix laparoscopically excised. As bad as this was, this hospital trip opened my eyes. I wasn’t taking care of myself as good as I should have been… and I needed to start taking my health seriously… NOW. Many of the products I wanted to use on a regular basis didn’t exist. Sure, there were version of them, but none of the companies I saw had the ingredient standards I set for myself. 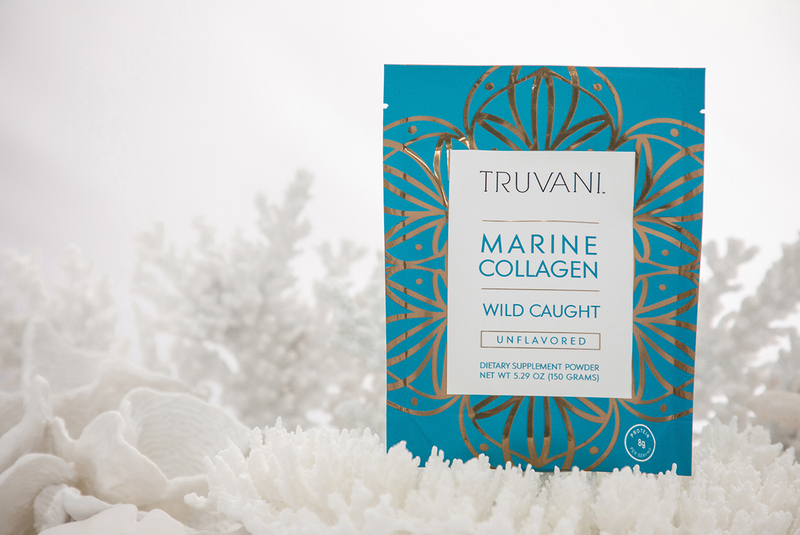 And that’s why I launched Truvani – to create the products I want use myself, in my own daily, health routines. I start almost every morning the same way. I put room temperature water into a glass. I then add fresh lemon juice and cayenne pepper to it, and drink it through a glass straw. Then, I take my daily turmeric supplement. The active ingredient in turmeric is curcumin, a potent anti-inflammatory that helps maintain healthy inflammation responses. The whole routine takes maybe 15 minutes. And it helps me start the day feeling like my best self. I used to use a Daily Turmeric Supplement, but when it got acquired by a big food company, I was worried they’d change their ingredients without warning us. And that’s why I created my own Daily Turmeric Supplement. “Love this product. I especially like making a cup of tea with one tablet to one cup hot water. Delicious!” – Lauren E.
“I love the fact Vani has created a multi use curcurmin supplement. Not only do I receive top quality curcumin in supplement form, but the recipe for comforting tea. I am excited to experiment to find other culinary uses for this pure, unadulterated product. And the cost isn’t that bad either. Thank you Vani.” – DANIELA R.
When I make a green smoothie, I refuse to let any of it go to waste. What do I put in the smoothie? I keep it simple. I use Celery, Cucumber, Kale, Pineapple, and of course, Truvani’s new Vanilla Plant-Based Protein Powder. This green smoothie is the ultimate fast food. As a new mom, I sometimes struggle to find the time to make breakfast in the morning, and a smoothie like this helps tide me over until I can eat something later in the day. Sometimes I find myself rushing out of the house, without the time to make breakfast or a smoothie. And that’s why I often create these ultimate “On The Go Breakfast Cereal” packs. When I don’t have to worry about weight, I often put it into a mason jar. 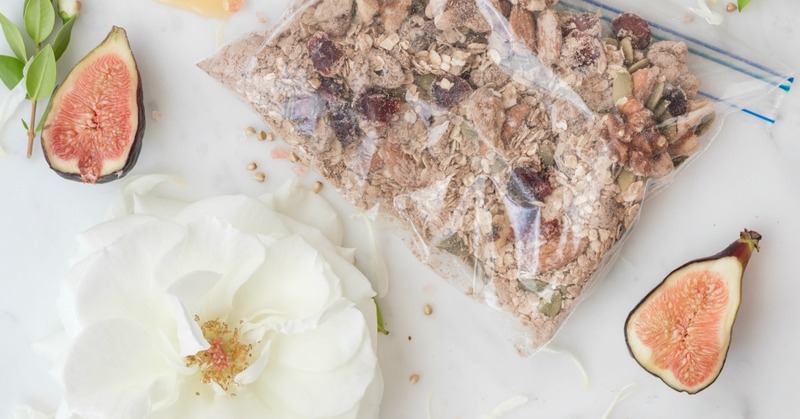 What do I put in these little on the go breakfast packs? Then, when I’m on the go, I may order a cup of hot water, and just add the cereal into it. I let it sit for 5 minutes, and enjoy. …and that’s exactly the type of products we create. So, I’m happy to take this next chapter in our journey and I hope you’ll join us! Very very impressive. I grew up eating a lot of fattening foods. Back then it was Crisco solid shortening that my Mom used to fry a lot of our foods. My Dad died at a young age because of hardening of the arteries. Back then nobody knew about cholesterol and the damage it does. I just weaned myself off of animal meats and start using tofu on a regular basis. I haven’t visited a fast food restaurant in years. I always eat plenty of veggies,dark greens, variety of fruits and an array of grains. I feel so much younger and feel like kicking up my heels. I am 66 years old , but sure don’t feel like it. Thanks for sharing your story. My health has been destroyed by the poisonous foods here in America. I believe my fibromyalgia, thyroid disease, and obesity is the result of this “food.” I would love to be able to buy your products and eat clean foods and organic foods but, my circumstances do not allow me. So, I will have to eat food that I can afford. Thank you for taking on the “food” industry and holding them accountable for what they’re doing. It’s a crying shame that they have to be exposed to make them do what’s right. Seriously, keep up the good fight. Much appreciated. I too was a mess as a child eating the SAD & struggled all my life with health issues. I dove in in college getting my BS nutrition but still wasn’t helping me that much. It wasn’t until I hit menopause that things got so out of control that I did what you did, dove back in to the research, learned all about our big ag/big pharma, toxic overload, chemicals, heavy metals, & so on that I changed everything in my life & it worked! Before I began, @ 278 lbs, I had 15+ conditions/symptoms (obesity/diabetes/allergies/ asthma/arthritis/eczema/adrenal-chronic fatigue/hormone issues/hypothyroid/leaky gut/stage 3+ kidney disease/fatty liver/bone-on-bone knees/edema/acne/systemic candida/….). I did an experiment on myself to see if what I was researching was true. In 30 days of detoxing, I lost my allergies/asthma/arthritis pain of 40+ years (yes, diagnosed arthritis @ 12). I changed my diet (& added many botanicals/nutritional) & the rest started to fade away – gluten-free lost me 20 lbs in 30 days, sugar/grain-free lost another 20 lbs in 60 days, keto lost 20 lbs in 60 days, then dairy-free keto lost 30 lbs in 90 days. In total, I reversed/remissed almost all of my conditions in 1 yr & 90 lbs. I had no idea I was toxic for heavy metals & pesticides, I had no idea diet soda had damaged my body, I had no idea I was sensitive to gluten, carbs, dairy, & EMF. I feel better now that I have in 30 yrs or more & I’m not done yet. I also felt I had to quit my job due to high exposure to EMF (school teacher) but started up my own nutrition coaching business & now I help others reverse & regain their health. You are such a beautiful young woman inside and out, and I just want to thank you for what you are doing for everyone. All of your hard work is very much appreciated! Hi team Vani, my name is Jwan i am the author of (Hope to the last breath) my true story! I am married to an engineer from south India. He helps me a lot to be healthy but a lot of times I am struggling to stay healthy. Mostly pain in my stomach when I eat meat. Even if it’s organic! So I went raw vegan but I was starving and weak with eating all day long. I wasn’t used to it, so I stopped and the pain returned with eating meat again! I wish you can share with us how do you stay healthy. Really appreciate you Vani and all you share with us. You’re a true health warrior and you have my admiration. I grew up with white flour and trips to Dairy Queen, TV dinners. I’ve had asthma, eczema, pre cancerous polyps, skin cancer. What finally turned me around was finding I had Celiac’s 9 years ago. I have a heavy cancer family history and my 43 year old daughter has had 4 different types of cancer. I think because of the Celiac’s I will live longer and finding health experts like you, Ocean Robbins, Chris Wark etc. I’m 67 and am praying for 82 because we are raising our 7-year-old granddaughter. She is worth all the inconvenience and research and fighting to eat healthy and stay healthy that I feel I have to do. God bless you, thank you very much for your products and fighting to get the Truth to us. I am so amazed & impressed with you and your journey! I love your “never giving up attitude and ready to fight back” at all the garbage & criticism. We are exposed to so many bad foods, environmental poisons, and plain out lies to the people of the UStates. When it will it ever cease?!!! I am almost 70 years old & have been on a holistic, organic journey for over 20 years. I am using your collagen product (for about a month now) because my hair appears to be thinning at my crown. I am so hoping for some results because of your clean product! I have been following all your work for almost 2 years now. Please keep up the battle!! We ARE out there and listening & supporting you! You are so brave & fearless! Please never give up and keep us informed!!! Beautiful baby!!! Keep her healthy!!! Thank you for all that you are doing. Yes, you are a very beautiful person inside and outside.